“What’s happened this year when you think of guys that have winning records and now they’re not going to be the coach of their team next year -- I think of West Virginia, Pittsburgh; I think about Miami, about Maryland -- and knowing how hard it is to win ... I think a perfect example is Texas. They play for the national championship last year. They’ve got good players. They’ve got good coaches and they just got on a bad run and it’s hard to win. I think people think, ‘Hey, let’s just change the coach and everything’s going to be alright.’ But usually it goes deeper than that. I know what’s real and I know Ralph’s a heckuva football coach and I thought he did a heckuva job and deserves better than he got.” – Frank Beamer on Ralph Friedgen’s firing by Maryland. 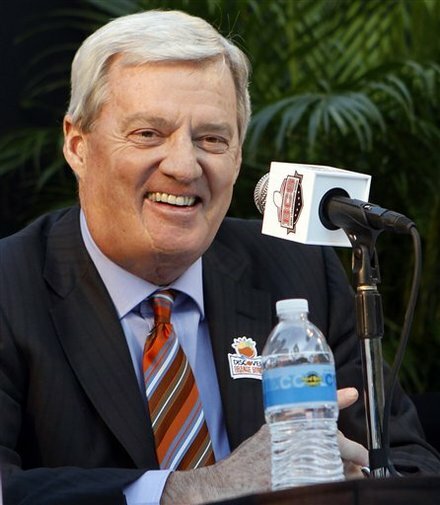 Maybe Beamer should hire his old buddy down at Virginia Tech? Gobble Country talks about just such a scenario: "Friedgen and Beamer were on the same coaching staffs in the 70s at Maryland and The Citadel. When Beamer got his first head coaching job at Murray State in 1981, he hired Friedgen to be his offensive coordinator. Their friendship has been well documented since the Hokies and Terps started squaring off frequently when Tech joined the ACC in 2004. The main reason Friedgen would be a good addition to the Tech staff is that he's an excellent offensive coach. Everywhere he's gone he's had offensive success and his offenses are usually balanced and resemble what Tech already runs. The problem is what position Friedgen would take. While a lot of fans will instantly say, "Fire Stinespring," which is the Pavlovian response that Hokie fans tend to blurt out in these situations, that's not going to happen. 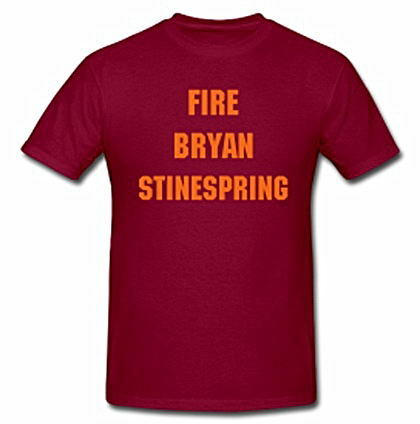 If Stinespring was going to get a pink slip from Beamer, it would have happened long ago…"